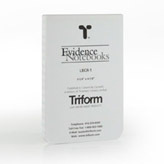 200 writing pages, with every page numbered, 1 to 200, offering tighter control and exact page referencing. 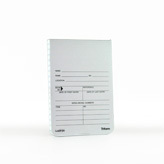 This better system replaces folio numbering of one side only, 1 to 100. All pages have horizontal rulings with a vertical Day / Time / Key Word column at the left. The pages will not fall out because of the Sewn Construction Binding. 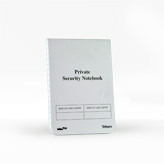 The pages lie flat for easier writing because of the Sewn Construction Binding. Your written notes stand out because of faint blue tint ink colour of ruled lines. 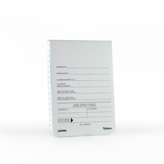 Contents of text pages are up-dated. 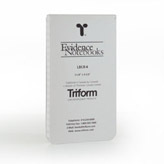 Triform Notebooks never stand still, they grown to meet your needs and requirements. 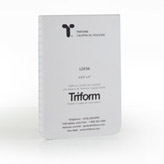 To find out pricing on Triform products, please try our Pricing Calculator or contact a Triform Representative.